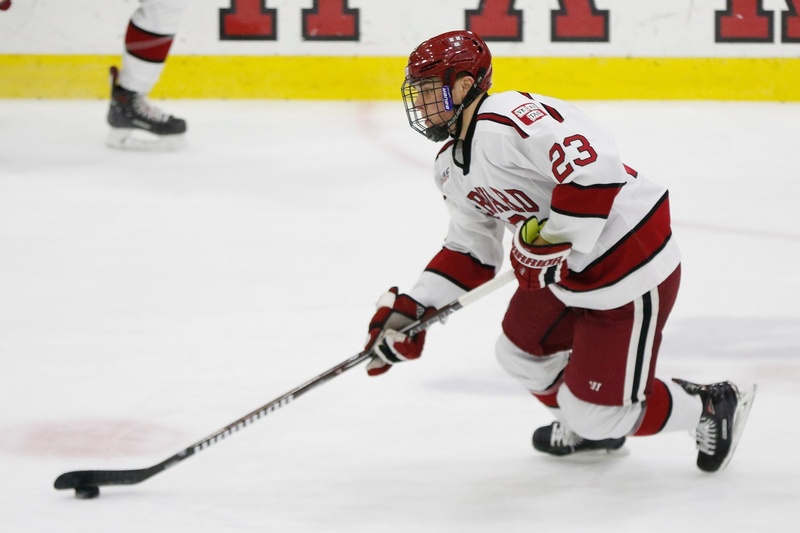 On Friday night, the Crimson skates in its first match since a Beanpot semifinal loss, looking to right the ship after Monday's disappointment. 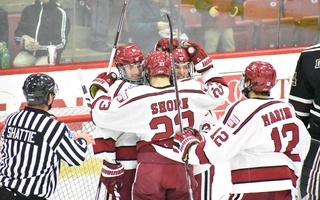 The Harvard men's hockey team (11-7-3, 8-5-2 ECAC) hosts No. 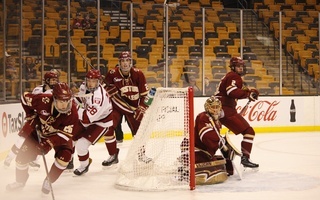 20 Union (13-8-5, 6-7-1) on Friday night hoping to bounce back from a disheartening loss to Boston College in Monday's Beanpot semifinal game. The No. 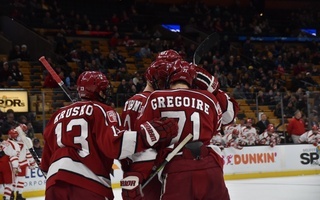 17 Crimson, only recently regaining its ranked status, needs several more marquee wins to cement its legitimacy among the NCAA's best, now that its Beanpot hopes have vanished. 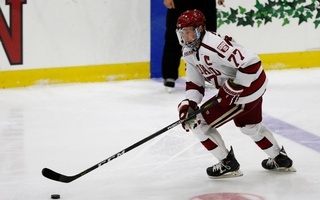 While plenty of hockey remains to be played, Harvard's performance against a formidable conference opponent on Friday will have bearings on its outlook down the stretch of the regular season. Senior net-minder Michael Lackey (11-6-3, 2.13 GAA, .925 SV%) will need to continue his stingy play of late — and the squad's nation-best powerplay (32.4%) will need to rebound from an unfruitful contest on Monday — as the Crimson look to mount a late-season run. 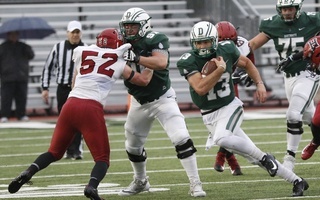 The Dutchmen enter Friday's tilt with an equal sense of urgency, still sitting below the .500 mark in the ECAC and on the precipice of ranked and unranked. Union will rely on its balanced top-six and sturdy goaltending to lead the way in this contest.